Times are changing, tides are shifting, trends are passing and drifting and priorities are rearranging. The thing is the way device manufacturers set their priorities straight doesn’t always align with the wishes of the overwhelming majority of mobile consumers. Take smartphone battery capacity. Literally everyone who’s ever owned a half-decent Android with web access, a semi-sharp display and the ability to run games and various juice-consuming apps knows autonomy is a pain. Yet except for Motorola and maybe Lenovo, OEMs refuse to do the right and simple thing and increase cell size at the risk of also beefing up bulk. Recently, a separate but just as disturbing market direction has begun to dictate to gadget producers user-removable batteries and microSD card slots are out of style. Taking a page from Apple’s ill-advised book, Samsung outed the Galaxy S6 and S6 Edge with sealed pacemakers and no external storage expansion possibility. Ever since then, most Samsung devices are closed off, even all the way up to the Samsung Galaxy S10. The LG G5 is a very special phone. Not because of being one of the last to feature a user removable battery, but being one of the first smartphone makes to go against the grain and create the first mass-market smartphone with modular capabilities. The idea is the users would be able to customize the device to better fit their needs with special-purpose modules. Unfortunately, the concept never took off, with very few modules available, and at absurd prices. That said, the phone is still a performer worth considering — it’s got a Snapdragon 820 chipset, one of the most cutting-edge mobile processors ever created. There’s 4GB of RAM, a 5.3-inch IPS display, and protected by Gorilla Glass 4. Always-on display technology is fairly unique, too. The LG K8 is another excellent choice for those vying for microSD support and a removable battery. Coming in as a decidedly mid-range phone, this one does have the removable battery and microSD support you’re after. Sure, it might not be able to play the latest and greatest — and it just isn’t ever going to be the phone for that, unless you want to grab one with a closed off system. But, it should get you by really well for a couple of years. As far as hardware goes, it has an older Snapdragon 425 processor inside, 2GB of RAM, and 16GB of storage. There’s an 8-megapixel camera for photos, and, of course, the removable 2,500mAh battery. The Samsung Galaxy S5 is worth considering, too. A phone apart of the Old Guard, you’ll get that removable battery and microSD card that you’re vying for. Granted, you do get water resistance and fingerprint recognition here, only at the end of the day, the FHD Samsung is clearly no match for the QHD LG. Not in ppi, RAM muscle, build quality or overall design style. Perhaps in cell endurance, thanks to Galaxy S5’s more frugal screen. Look, we get it, the 5.7-inch Super AMOLED 2K phablet is a powerhouse, with Snapdragon 805 inside, 3 GB RAM, 32 GB native storage space, up to 20-hour 3G continuous battery life, fast charging technology, heart rate monitoring, fingerprint authentication and S Pen support. It’s handsome as well, with its premium metallic frame, soft-textured back cover and 8.5 mm wasp waist. 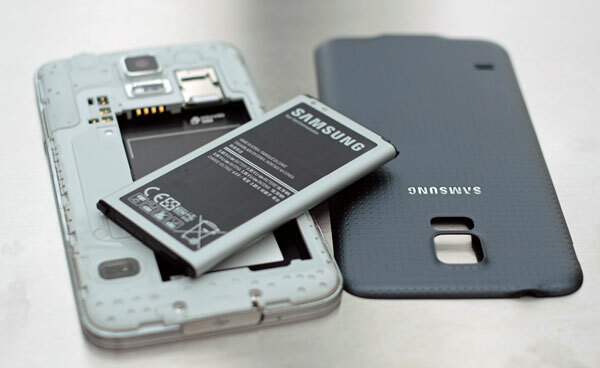 The Galaxy Note 9 might be years ahead of it in technology, but the Galaxy Note 4 remains apart of the Old Guard that features the removable battery and microSD support. A few years old now, the LG V10 looks and feels like a premium device. This is one of the “newest” phones that you can buy that’s still sporting the removable battery and microSD support. It’s got a Snapdragon 808 processor with X10 LTE, and 4K Ultra HD capture and playback support. There’s 4GB of RAM, an Adreno 418 GPU, and 32 or 64GB of internal storage space, which is further expandable up to 256 GB. Keeping the lights on is a removable 3,000mAh battery. One of the more unique features here is the secondary display, designed to give you instant access to notifications, contacts, calendar, and time. It’s fully customizable with widgets and information you want up front. It’s located right above the primary 5.7-inch display with a 2,560×1,440-pixel resolution. Additionally, there’s some stellar camera support here. There are three cameras onboard: 1 rear-facing and 2 front-facing. The rear-facing camera has a resolution of 16 MP, and both front-facing cameras have a resolution of 5 MP. Up next, we have another choice from Samsung, this time the Galaxy Xcover 4. This rugged phone can survive most environments, even a construction site or mechanic shop. This phone was designed for the outdoors, and will give you the protection you need to withstand most drops, falls, and accidents. It’s got a removable battery inside, featuring a 2,800mAh unit. There’s, of course, a microSD slot in tow as well. The Galaxy Xcover 4 has a 5-inch HD display, Samsung’s own Exynos 7570 processor, 2GB of RAM, and 16GB of storage. It runs on Android 7.0 Nougat as well. We love what the “new Nokia” is offering in the Nokia 1. With a refreshed design, the Nokia 1 is here with a removable battery. So, like the LG K8, you shouldn’t run into any sort of power issues that can’t be fixed! The highlight of this phone is the 2,150mAh removable battery, but there are countless other features. There’s a 4.5-inch display, 1GB of RAM, and a relatively quick MediaTek processor. It won’t be able to play the latest games and apps, but that’s what you can expect with “older” phones that support removable batteries and microSD cards. Looks like Samsung got the memo. They’ve just “re-assigned” the head of the Mobile Unit and the upcoming Galaxy S7 (Jan/2016) is reported to have external storage back. Good comment bruv. Just an extra mm or two and you could have a week of charge to go. Got to be a marketing opp somewhere. 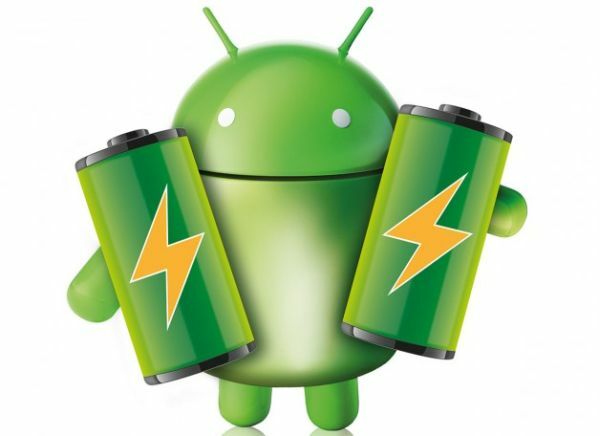 I want a removable battery on a Smartphone, and a removable Storge Card too! Hence, I’ve never bought an iPhone. Samsung doesn’t seem to care what I think anymore, as their Galaxy S6 has neither. I tried to complain on their website, but was unable to write what I wanted to say. Hence, I’ll never buy Samsung again, until they reverse this trend, if they ever do. They should change their company name to SamSUCK too, to match the inferior Galaxy S6. Thid is why I am still using the Note 4 and will not buy another Samsung phone unless they get their heads out of their behinds. I was interested in some of the new Nexus phones until I found out they would not have a removable sd slot. I have a card full of music and I refuse to use the cloud and comtinue to have to download my own stuff. I sure as hell don’t trust the storage to not be lpst or a number of other issues. You’d think Samsung would have learned a lesson considering the newer models are not selling nearly as well as the ones with sd card slots and removable batteries. I believe and hope one phone developer will be smart enough to take advantage of their stupidity. Utter idiocy not to have a user replaceable battery – mere stupidity not to include expandable memory. For all that is holy – we do NOT need these paper thin phones. We do need battery life that exceeds one day. And also the ability to stop apps from running without having to root the darn phone. Are any adults in charge of phone development anywhere? Great reviews for a dying breed of phones. I travel all over the world and need a backup battery and tons of storage…would love to see one of these companies have the cahoneys to buck the trend. Thanks for the injection of humor.